"Through our obedience to Him to pray together, we can exponentially give birth to new believers. Isn't it exciting that we can come together to seek His heart, with no other accessories needed, gain a glimpse of His heart and pray then with results? As we watch reality correspond with what we felt in prayer, the Truth Himself gets outs and the power is released to change hearts! His Holy Spirit is that real. His Love is that real." You just know people, how we are and how we are not; By cross referencing Scriptures, we get a picture of the Event at Calvary. At one point, both thieves, to Jesus right and left were hurling insults. (Matthew 27:44) But something changed, when one began to defend Jesus. We don't know for certain, but my deepest gut believes that one man glanced into Jesus' eyes. He saw Something strange, foreign, but powerfully sincere. 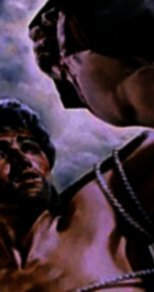 The same Heart which caused a Roman soldier to declare that "This man had to have been a son of the gods" as he heard Jesus plead his enemies' case to a grieving Father, was the same thing that caused this dying thief to have compassion on the One dying for him - though the thief did not know it at the time. In other words, "You are good. I can see this. I'm not. And I deeply know this. Only someone like you could ever have any redeeming affect on this selfish heart and sorry life I have lived. It would be more than I deserve if you just remembered my face." The truth of our condition became so clear in this moment and this man, looking at his life, filled with regret and shame, yet feeling for Another, was timidly, but not expectedly, asking for just a memory in the heart of this Good Man. He wasn't even thinking or hoping for eternal life, for he knew he didn't deserve it. The theological debate in those days was whether or not eternal life was real or not anyway. A memory would be more than he ever deserved. And all that is the Heart of Heaven with compassion so eternally deep looked back into this man's heart and in effect said: "Not only will I remember your face, heart and name...but even better...today you're going to be with Me. You're not alone. I'm here with you now and together we will always be." God submits to us through history the very same thing this thief saw in Jesus eyes. That thing is literally and tangibly, not metaphorically, the same substance that zapped a man like a bug which negligently touched the Ark of the Covenant. This thing is pure Love; A love so white-hot that nothing selfish can get within an eternity of Him. Yet He wrapped this Love in human flesh and that Love walked among us, bowed down to us to wash our feet and died of a broken heart to heal ours, while pleading our case in real time. By faith he counted his murderers to be his future friends and anticipated us as the wonderful reward of His suffering. He didn't see cowards and murderers; He sees friends. His heart is insane. In short, He's absolutely crazy. Praise be to the living God for His wonderful, foolish, insane, unbelievable Love! There is Nobody with a Heart like His. We know the discipline of studying the Word, but we must learn the discipline of prayer, especially corporate prayer. Both disciplines are given life in worship, for Bible study without a prayer life is nothing more than a powerless performance and act. It is rife with pride and suffocating legalism. When the Church returns this Heart to the Center of Church life via the continual, seeking corporate prayer meeting, this Heart will once again begin to pour through us via inspired prayers and invade the hearts of others with no need of any other assistance. For no apparent reason people will come into contact with Him, God will call their name through our prayers and they will suddenly encounter Love Himself; Just as this now ex-thief had an encounter, so are those whose names are called out by praying believers, are also destined to hear Love's voice. Through our obedience to Him to pray together, we can exponentially give birth to new believers. Isn't it exciting that we can come together to seek His heart, with no other accessories needed, gain a glimpse of His heart and pray then with results? As we watch reality correspond with what we felt in prayer, the Truth Himself gets out and the power is released to change hearts! His Holy Spirit is that real. His Love is that real. This insane Heart is very real. Now it is time for us to get real about how little we know Him. Let's get real. The time to seek Him together has come. Our hearts should desire to please Him after what He did for us.